All fans in attendance also receive a free magnet schedule with each ticket purchase. Despite losses against St. Bonaventure and UCF in the UCF Thanksgiving Classic, the Govs gained valuable experience on the road. The two games featured breakout performances from several players, including career-high scoring outputs by junior guard Bri Williams (13 points) and freshman guard Shelbe Piggie (11) against the Bonnies before freshman guard Nieja Crawford had a career-best 13 points versus UCF. In addition, against UCF, senior center Tearra Banks recorded the 10th double-double of her career (10 points, 10 rebounds), while senior forward Beth Rates moved to fifth all-time in blocked shots with 94. The Buccaneers return four starters from last season’s team which compiled a 16-14 record, yet lost in the quarterfinals of the SoCon Tournament. The Buccaneers feature a veteran squad, led by junior Tianna Tarter and senior Shamauria Bridges. Tarter leads the team with a 15.7 scoring average, while Bridges comes in at 13.2 points per game. ETSU most recently knocked off Murray State, 79-60, Monday. Tarter totaled 22 points and 13 rebounds in the contest, while sophomore Raven Dean had a breakout game by dropping 24 points with 13 boards. In the first meeting between the programs since 1997, East Tennessee defeated the Govs 80-76, December 21st, 2015, in Johnson City. Tiasha Gray posted 27 points while Tearra Banks added 19, but ETSU’s Tianna Tarter answered with 22 points to lead the Bucs to a narrow win. Senior center Tearra Banks currently has 961 career points, just 39 away from becoming the 19th member of the 1,000 points club. With her two blocks against the Knights, Sunday, senior forward Beth Rates moved to fifth all-time in career blocks with 94, passing Sonja Cox. She is now eight away from tying Joanne Arnold for fourth place on the list. She has also played in 94 consecutive games. Junior point guard Bri Williams has solidified her stance as the team’s floor general, having played over 35 minutes in the last three games. She has also provided additional offense from the position, including scoring a career-high 13 points against St. Bonaventure, while also finding open teammates. 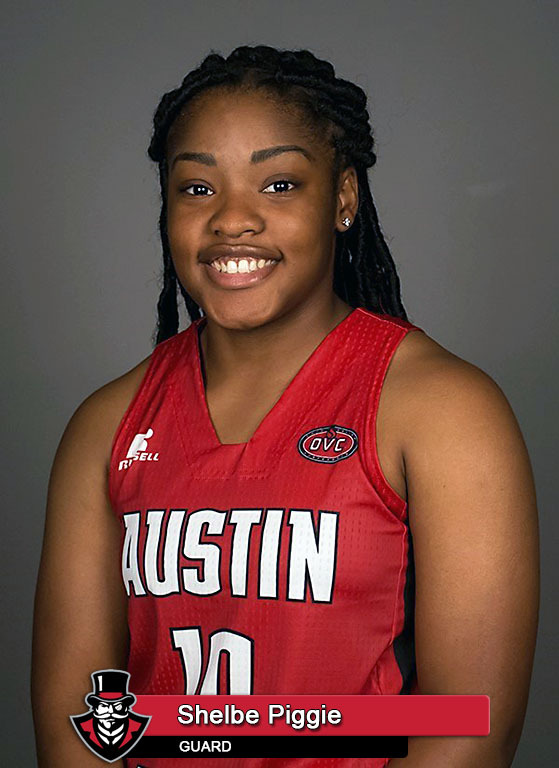 Williams notched a career-best nine assists in APSU’s most recent win at Arkansas-Pine Bluff. 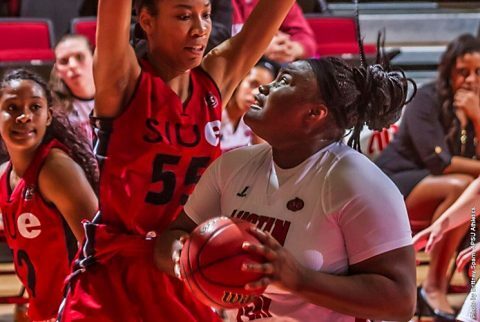 Freshmen guards Shelbe Piggie and Nieja Crawford have emerged as two scoring options off the bench. Piggie found her groove against St. Bonaventure, scoring 11 points, while Crawford was a sparkplug versus UCF and went on to lead the Govs with 13 points. In the David Midlick era, the Governors are 12-4 when competing in the Dunn Center. 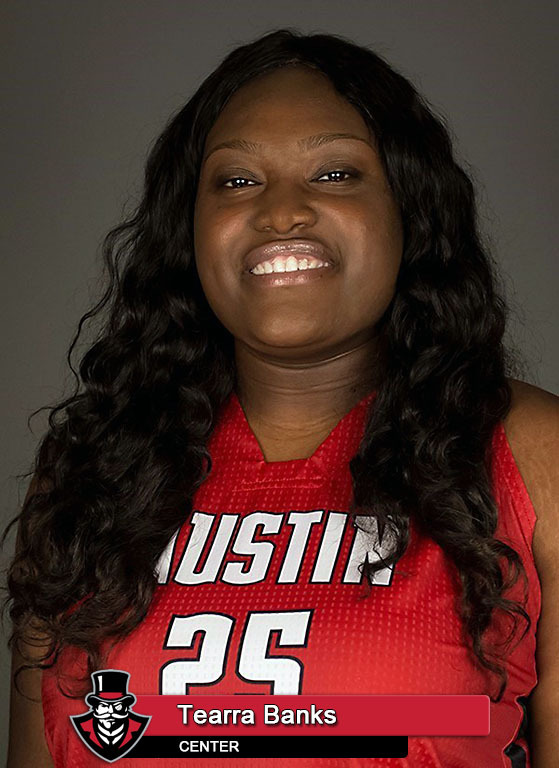 Be sure to follow all the Austin Peay women’s basketball action at www.LetsGoPeay.com and the official Facebook page of Austin Peay Athletics. In addition, live play-by-play coverage can be found on Twitter (@AustinPeayWBB) and live audio on WAPX 91.9 FM.